Water is a combination of hydrogen and oxygen in the ratio of 2:1 (H2O). A molecule of water is made up of 2 molecules of hydrogen and 1 molecule of oxygen. Water is a free gift of nature and is very essential in the continuity of life. It is used for numerous purposes such as for drinking, cooking, wishing (clothes and plates), bathing and so on. Water is needed by humans and other life forms even though it produces no calories or organic nutrients. The percentage of water in the human body varies with age and gender. The amount of water in the human body ranges from 50-75%. The average adult male is about 60% while the average adult female is about 55%. The difference being that women have more fatty tissues than men. The percentage of water in infants are much higher, around 75-78%. In this post I will be showing you how to take care of health with just water and the benefit of water therapy. 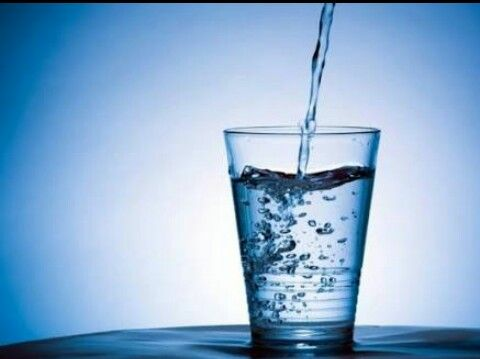 Immediately you wake up in the morning, drink about 5-6 glasses of water on an empty stomach. Do not drink or eat anything else till an hour time. Do not consume any alcoholic beverage the night before. 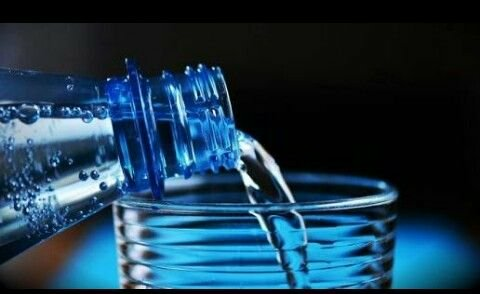 It has been long known that drinking water first thing in the morning on an empty stomach helps pirifies the bodies internal system. One important result of this treatment is that it cleans the color, which makes the body much more able to absorb nutrients from food. This is made possible through the production of new blood (haematopoises). This fresh blood has an immense restoration effect in the body and can even cure existing ailment, prevent stomach ulcer and make the kidney and other organs more active, alleviates constipation, strenghtens the heart against diseases, helps to control blood pressure, prevent premature ejaculations, helps in breaking drinking habits and boost immune system. A Japanese medical society has also found water therapy to be a 100% cure for arthritis, epilepsy, bro chiefs, uberculosis, meningitis, diarrhea, throat diseases and many other ailment. Water therapy can cure these conditions rapidly on its own with no other medical treatment. Water therapy is one of the best and cheapest treatment so far. Make it a habit to observe water therapy and care for your health cause HEALTH IS WEALTH. Thank you for reading and I hope you learn something new today. Crocket, Christopher (5 september, 2015). "Quest to Trace Origin of Earth's Water is a Complete Mess". Science News. Retrieved 1 October 2015. Fereydoon Batmanghelidj, 2001. Your Body's Many Cries for Water. Greenwood, Norman N, Earnshaw, Alas (1997). Chemistry of the Elements (2nd ed.). "Water (V.) ". WWW.etymonline.com. Online Etymology Dictionary. Retrieved 20 May 2017. FOLLOW @LORDDANZI FOR MORE HEALTH POSTS AND DON'T FORGET TO UPVOTE, COMMENT AND RESTEEM. I practice it so I will tell you my experience. About 30 minutes after drinking the water I usually do feel the urge to urinate and when I do so, it takes me hours to feel the urge to again. And I believe your drive to work does not takes hours. Plus you will get used to it if you make it a habit.